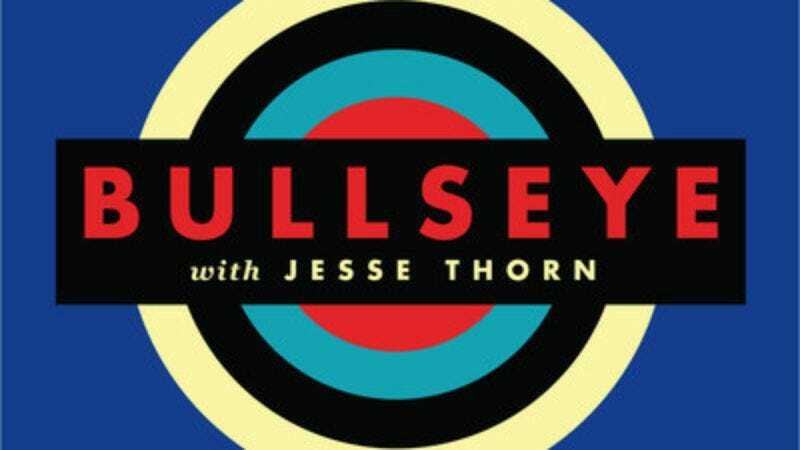 L.A. fans of podcasts and dapperly dressed gentlemen are in for a good week in mid-October, as public radio host and podcast impresario Jesse Thorn will bring a live version of his NPR show and podcast Bullseye to the city on October 15. Specifically, Thorn will be bringing Bullseye’s mix of interviews, humor, and cultural curation to the Masonic Lodge at the Hollywood Forever Cemetery, for what probably no one will be describing as a spooooOOOOOooooky night of comedy and culture. Guests haven’t been announced yet, but previous live episodes of Bullseye (and its predecessor, The Sound Of Young America) have included interviews with and performances by people like Bill Hader, Andrew WK, and Kumail Nanjiani, so chances are decent that Thorn will be talking to someone you like. The live show also marks the kickoff for MaxFunWeek, a seven-day campaign to promote Thorn’s listener-supported MaximumFun podcasting network, which includes shows like Hrishikesh Hirway’s fascinating musical exploration Song Exploder, as well as Podmass mainstay My Brother, My Brother, and Me. The event, running from October 15-21, will feature behind-the-scenes access, Reddit AMAs, and crossover appearances by various MaximumFun hosts. You can read more about both the live Bullseye and MaxFunWeek at MaximumFun.org.